[Donor centrism] perpetuates the othering of the people we serve: An insidious effect of the Savior complex is that people see other people as “others.” “Others” exist in our minds in a binary state, either as enemies, or as those to be helped, never our equals. With this current political climate, we’ve been seeing a lot of people perceiving and treating fellow human beings as “others/enemies.” But the “Others/People-to-be-helped” mindset is also destructive……We cannot build a strong and just society if we reinforce in donors the unconscious perception of the people we help as merely objects of pity and charity to be saved. You might react, as I did on first reading, that this doesn’t really apply in the conservation community. But we’d both be wrong. In nearly every strategic planning exercise with which I have been involved over the past 20 years, someone has added a strategy or a goal that has something to do with “educating the public.” The underlying frame of reference is that the public doesn’t know what’s good for them or what solutions might be out there for their particular issues and problems. We do! We have science and technology and GIS, and together with two scoops of hubris, we’re well positioned to show them exactly what to do in their own best interest. We just need to educate them. They just need to be educated. We barely get away with this in a culture that is predominantly white (not to mention the current political climate trending to anti-science). Many of us have come to understand that we don’t have a chance in Native American communities, but we still believe that African American and Latino cultures are disinterested, apathetic, ignorant, or some combination of all three. Collectively, they (including the ignorant whites) are all “others” needing to be educated. One of the strategies I hear most often about reaching out to non-white communities is that we must learn to listen first. Not that it’s bad advice necessarily, but the underlying – “othering” – assumption is that if we listen hard enough, we will find places where our solutions will fit their problems. They just need to be educated. What about the possibility that they might offer a solution to something we’re working on? Are we willing to listen that hard? To approach them as equals? How do we learn to listen for wisdom we can apply for ourselves instead of just ideas that connect to our solutions for them? Le calls this kind of othering an “insidious effect of the Savior complex,” and he’s right. The word “protect,” of course is embedded in everything we do. If land is colored green (or sometimes brown) on a map, we interpret that to mean it is protected. If land is white or some other color, it is referred to as a “gap” between protected areas – ie. 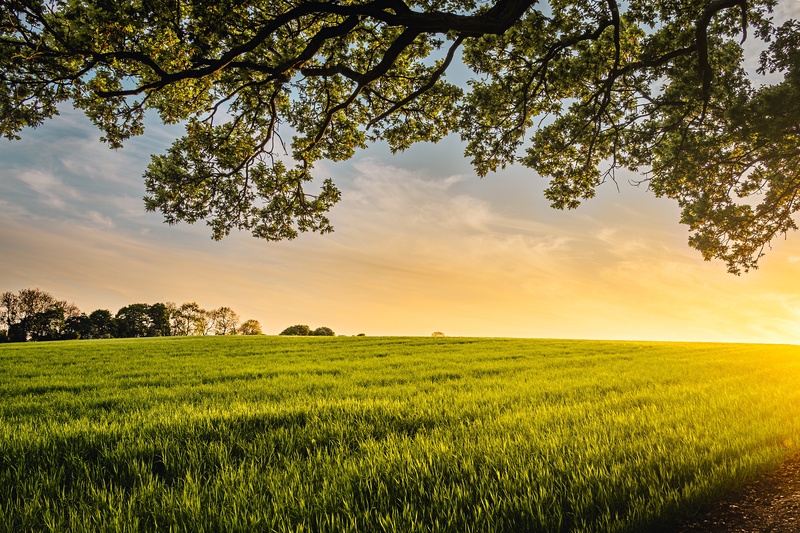 “unprotected.” In fact, both ideas depend on some amazing assumptions – that land in public or non-profit ownership is protected and that land in private ownership is not. It turns out to be pretty easy to disprove both. Strip mining, clear-cutting, lethal predator removal, controlled development, and even outright sale of protected properties aren’t unheard of on land owned by federal and state agencies. And the strength of land trust conservation easements is certain to be increasingly tested over time. 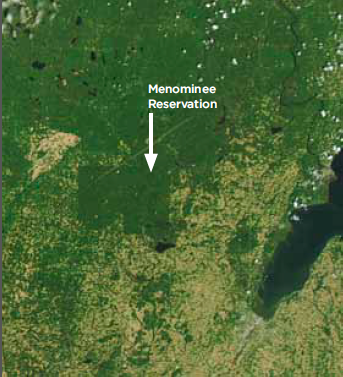 On the other hand, the Menominee Forest has been sustainably harvested for several hundreds of years by the Native Americans in central Wisconsin. The land is so starkly different from land around it that you can pick out the forest from satellite photographs. And talk to western and southwestern ranchers about whether the land that has been in their family’s continuous ownership since the civil war is protected or not. To be sure, there are “levels of protection,” but as a conservation culture we use the word far too freely and cavalierly. After all the landowners are just Others/People-to-be-Helped, right? We can educate them first and then help them protect their land. So, here’s the place this comes back to donors. We need to be careful not to practice “othering” on donors, too. I wrote two weeks ago that the “Center” of the organization is where the action is. The mission is at the center. Science is at the center. The staff and Board are at the center. The volunteers are at the center. And for land conservation, the land and water and all the critters they support (including humans) are at the center. The problem with much of our donor communication (letters, newsletters, website material, even Facebook and other social media) is that it is written as if the reader/donor is NOT part of the center. In other words, that donors are “others” too. They just need to be educated. Photo by Benjamin Davies courtesy of Stocksnap.io. Love it! Thank you. Exactly why we don’t talk about “education,” we use the term engagement. How do you engage with your members, with your volunteers, with the public. It’s a two-way street. It is important to meet people where they are, and try to understand them, then you can have a dialogue that is respectful. From my in-box this morning. I’ve taken to arguing to keep the public in public interest. The people we work with in harm’s way have much more license and knowledge of their needs and wants than I ever will. We may have skills and resources to help support and navigate citizens through complex systems, but they must be the drivers. That’s one good thing about ethical lawyering, you really are supposed to serve the client not your own interests. A group of partners that I assumed saw the public like I do once defined public interest as “we do work that is good for the public and they benefit.” Sounds like trickle-down economics to me. This was true when I worked in conservation as well. A landowner with a long history on their land always knew more than I did. They may not have used conservation biology language but they knew the patterns of flooding or drought, what visited when and on. I’ve bristled at the word “empowerment” over the years because it implies giving something to someone they don’t already have. You are still my champ. Kim and I have the same reading list this morning! I’d also add that this speaks so well to why I want nonprofit communicators to not think of “the public” as one big homogeneous group that we have to move toward understanding something. There are lots and lots of audiences and lots of communications strategies to meet those audiences and engage with them. Especially with social media, there are so many ways we can “listen” to these audiences and get them to drive the information we put out in the world. Some of the most exciting nonprofit communications are with groups that are figuring out how to do this and get audiences that share their values to engage with each other. Coincidentally, the Foundation for Sustainable Forests hosted Marshall Pecore, the Forest Manager at the Menominee Forest, at its annual public outreach conference in northwestern Pennsylvania just a few weeks ago. Thanks for shedding light on this (relatively) little-known success story in long-term, community-based land stewardship! Yes!!! You put into words something I’ve never been able to. The word “protect” bothers me, always has. This explains why I don’t like the word even though I was never able to put it in words. Great article but what’s the solution?